In spite of the PR hyperbole, the district is in dire straits—enrollment is falling, students are likely to continue to transfer, way too many students are graduating who cannot read and do math, good teachers are getting discouraged and leaving, and public confidence is low (7% turn out to vote). We need a comprehensive plan for reform, with priorities. No excuses. Let’s get at it! 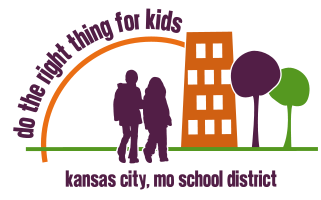 People are asking members of Do the Right Thing for Kids if we think the new Kansas City Public Schools Board will make a significant difference. With three new members and a new president, can the board bring about a real turnaround? Our answer: It depends on their willingness to deal with tough issues. Be bold. Your job is not to appease the administration but to track their performance and hold them accountable. Establish feedback systems that regularly tell you the performance on crucial variables. Stop being intimidated by accusations of meddling and start asking tough questions like, “Why are we still using so many temporary substitute teachers?” Remember, the board “owns” the district, and you are ultimately accountable. Demand a focus on real student learning rather than just gaining accreditation points. Accreditation should be a by-product of effective performance. Examine the MSIP standards to understand what goes into the scores for College and Career Readiness, Attendance, and Graduation Rate—none of which is a direct indicator of student learning. Yet these factors account for most of the district’s claims of “progress” for provisional accreditation. For example, College Readiness includes elements like number of certain courses offered regardless of enrollment. Compare ACT scores (among the lowest in the state) as indicators of college readiness. Questions to ask: What are the essential qualities of a high performing public school system? What matters, not for adults, but for our students’ futures? Find out from the experts what programs have the highest payoff for student achievement, i.e. rigorous preschool, longer school days and longer school years. Shift resources from lower payoff programs to these. Be tough. Insist on school board meetings that convey a professional image, deal with the real issues, and provide data to the public instead of public relations presentations aimed at creating a positive spin. Don’t accept the excuse that scores are low because many of the district’s kids are “at risk”. It is being proven all around the country and the world that with the right teachers and the right culture students from high poverty backgrounds can learn. Bill Timmeus: "Our failure in the schools"